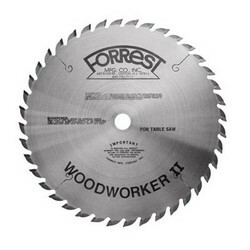 WOODWORKER II saw blades are designed for the advanced table saw operator. MOST CUSTOM WOODWORKER II's ARE IN STOCK AND READY TO SHIP FOR 2-3 BUSINESS DAY DELIVERY! Custom Woodworker II blades are made with double-hard sub-micron C-4 carbide which is 40% stronger and will give up to 300% longer life between sharpenings. 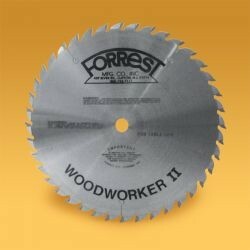 Check out which Custom Woodworker II saw blade will work best for your application! IF YOU DON'T SEE WHAT YOU NEED ON OUR SITE GIVE US A CALL AT 716-685-4458. 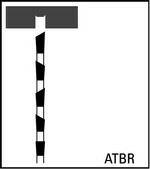 Custom Woodworker II provides a nearly flat bottom cut with a ATBR tooth configuration. It's alternating top beveled teeth with a flat raker every fifth tooth (Left, right, left, right, flat) allows easy feed. The raker tooth sits .0100 below the 20 degree angled points to keep cross cuts crisp with no tear out. Now offering Concentrated SUPER BRITE Saw Blade Cleaner which quickly cleans pitch and grime from all types of saw blades and router bits for only $14.99. One 16 oz.. concentrate makes over 2-1/2 gallons when diluted as per instructions. Can be continually reused. Comes with convenient spray applicator, full instructions and MSDA sheet (Material Safety Data Sheet).